Historical “fact” accounts have published a lot of photographs from the Battle of Stalingrad. One recent example from Twitter: a popular picture spam account @oldpicsarchive have published a collection of 39 pictures about this famous World War II battle. Here is a screenshot of the blog post. The page is full of advertisements making it bit difficult to find the actual photos. 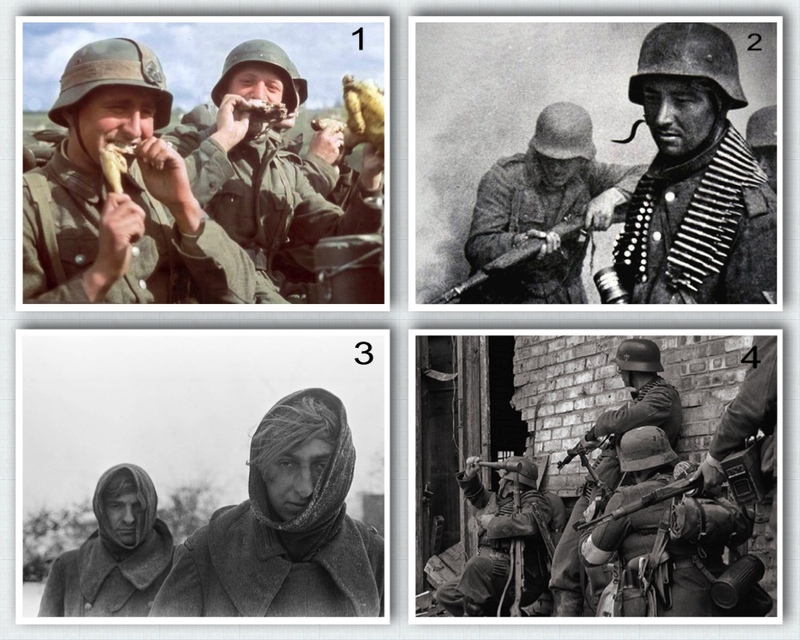 I checked most of the 39 photos and found four photos that have nothing to do with the Battle for Stalingrad. This was not a surprise: pic spam accounts really don’t care about the historical facts. They scrape the content from other websites like Reddit automatically and don’t seem to make any basic checks. @oldpicsarchive and other pic spam accounts only care about the money they are making from followers. This photo shows two German prisoners of war (POW) during the Battle of the Bulge (source: Getty Images). Not Stalingrad, obviously. My favorite: this photo was taken long after the World War II by a UK based WWII re-enactment group. Photo credit: Grossdeutschland Aufklärungsgruppe 2005-2016. There are many other similar photos out there. I will update this post later if needed. Disclaimer: I was unable to verify some of the photos published by @oldpicsarchive. Their 39 photographs may contain more errors.